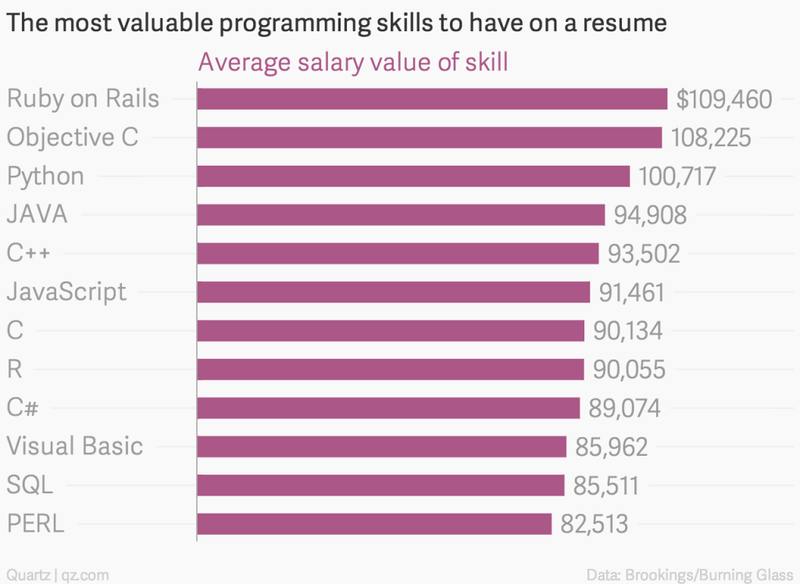 Which is why Quartz’s list of the “most valuable programming skills to have on a resume” is wrong-headed and deceiving. Which programming language is “best” depends on a host of factors, perhaps the least important of which is how much that skill will pay you today. 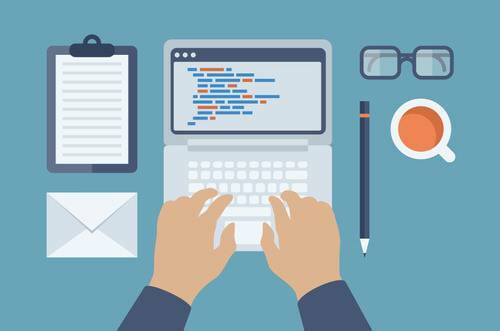 After all, the best programming language may well be the one that is most likely to help you consistently find a job, not necessarily the one that pays best. @mjasay c++11 is new assembly, Java is new C, go is new java, and python is new cobol. There were never "most" imp langs & never will be. Bhandarkar is correct, but while there may not be an objective way to evaluate the importance of programming languages across the industry, there is absolutely a subjective way for each developer to determine the best language for her. Namely, pick the language that matches where you see the future going. And if you believe cloud is the future, well, Go should be high on your list, as it’s the “most interesting [language] in the cloud era” because it “solve[s] hard problems easily,” according to Red Hat’s Paul Lundin. Mobile? Hard to argue against learning Swift (Apple) or Java (Android). 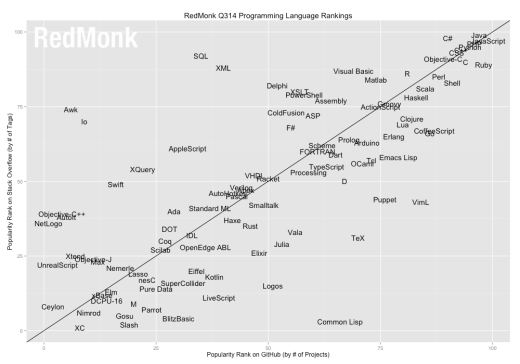 And if you don’t trust your own judgment, programming language popularity rankings like the one Redmonk assembles can provide a cheat sheet on the future. Just watch for big spikes in popularity like we’ve seen with Go. The Web, presumed dead, seems to be doing quite well. Indeed, it’s unlikely that learning any programming language could be considered a bad investment these days, what with developers becoming market makers. 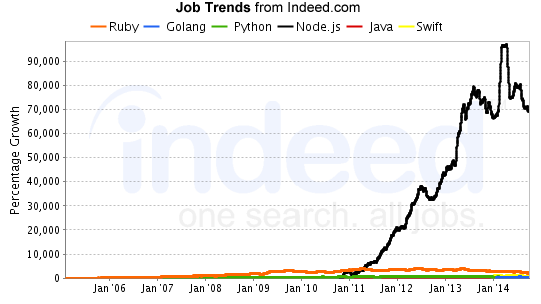 Enterprises are falling all over themselves to hire and motivate developers, a trend that won’t diminish anytime soon. With this in mind, do what you love. And code in the language that best expresses the future you most want to see. 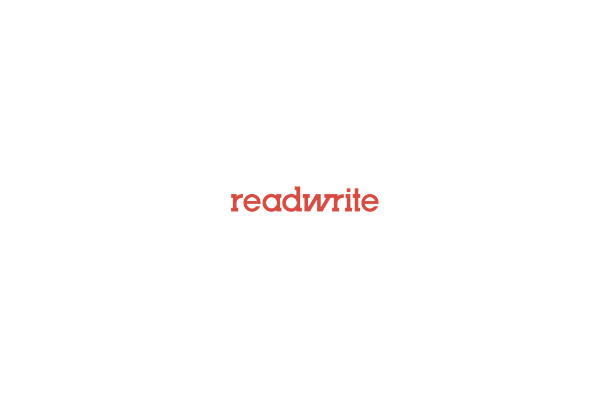 There’s never been a better time to be a developers, whatever the programming language you choose.